Stitches n' Scraps: Appreciate your teachers - A third gift idea. I can't believe I've made it to day 3! Phew.... creating something new and blogging about it each evening after work is difficult. Well this one comes with an amusing story. So I have been pinning and planning away for a couple weeks now trying to find a cute idea for each day and I loved this idea from Everyday Scrapbook. 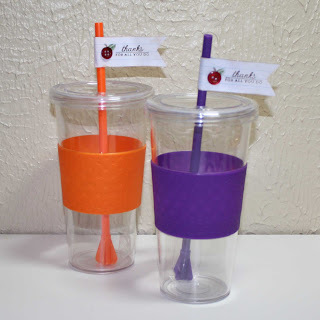 A water cup and pencils... very usable and easy to come by. I figured I make a cute tag and be all set. Well as I was putting this together this evening I go to drop the pencils in for the photograph and they are in inch to tall! Who would have thought it?? So my husband has agreed to cut an inch off the pencils but not until the weekend. So.... you'll have to imagine these cups full of pencils. I guess then my advice to you is take the cup with you to buy your pencils unless you want to make this a paper craft and wood shop project all in one. I do have to say the little flags are my favorite part, and they are pretty simple. First measure out a regular piece of notebook paper to fit your message. Stamp your message and add your little embellisment. If you've been reading much about me, you know that I LOVE buttons and was very happy to get to use them on this today. The stem and leaf are from Papertrey ink as is the message. Add a little red button and you're all set. After the pencils are cut we'll be all set. 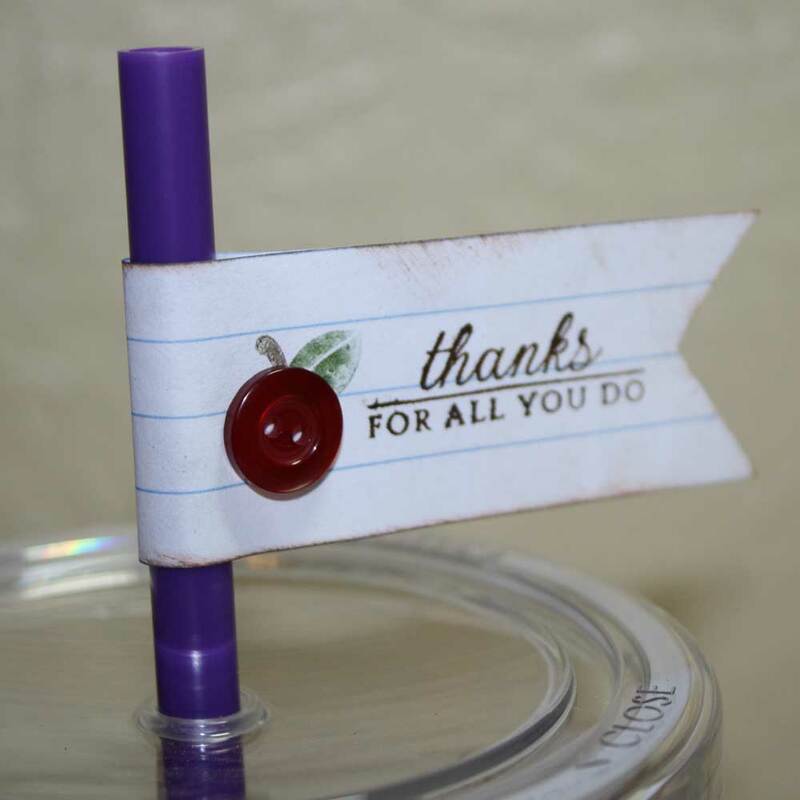 Before you leave be sure to check out my Teacher Appreciation Giveaway. You have until tomorrow night at 9:00 p.m. to comment and enter to win. Follow the link below to enter.